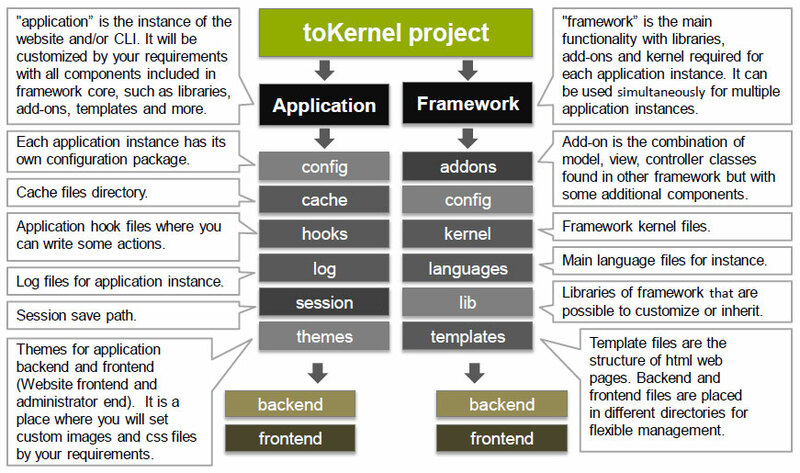 There are two main directories in the project: application and framework. Some directories such as "addons", "lib", "languages", "templates" can be located in both directories, in application and framework. If the file exists in both, then by default system loads a file from application. In other words, files located in application directory overrides a files of framework.